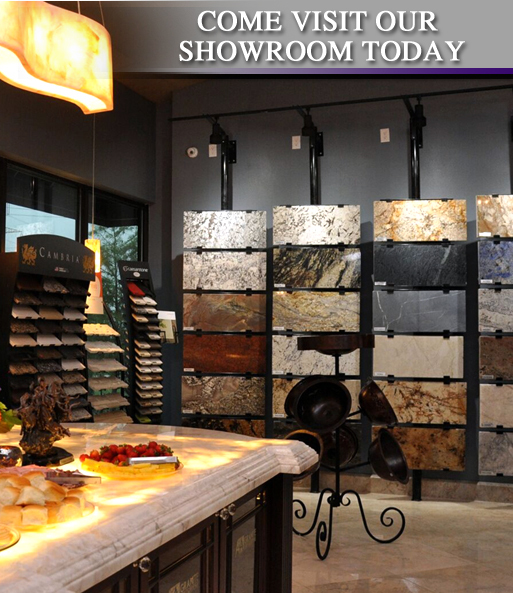 Search through our large inventory to find the perfect granite or marble finishes for you home or business ! Our meticulous designing process gives you the opportunity to see exactly how your project will look before it’s cut. Your stonework is customized by the most sophisticated stone-working machinery and technology in the world. You should expect high-quality service from the start all the way through to our professional installation of your stonework. The options for stone are endless: Gleaming countertops, sinks, showers and benches, stone inlay. We have crafted pieces as unique as altars, baptismals, and custom signs. at AA Granite You Dream, We Create!